The future of Opaki water race north of Masterton is in doubt because of Fish and Game opposition to continued use of water from the Ruamahanga River. Water from the race is essential to at least two vineyards and stock on many of the 64 properties it crosses, but opposition from some other property owners has prompted Fish and Game’s involvement. A Masterton District Council [MDC] consent to take water from the river has been in place since the mid-1990s. This this is now due for renewal and a meeting of landowners will be held next week to determine what action the council takes. In a letter to owners, the council says could either modify its consent application to Greater Wellington Regional Council [GWRC] to accommodate Fish and Game’s view that water take should cease in five years, or proceed with an expensive notified consent, with no guarantee of success. Fish and Game Wellington manager Phil Teal said no any formal opposition had yet been lodged, but the group would be seeking conditions relating to duration of the consent and water resource use “appropriate to protect the fishery and wider ecological health”. Teal said that position was favoured by at least one of the affected landowners, who contacted Fish and Game and regarded the race as an inconvenience. A targeted MDC rate applies to properties the water race crosses and the landowner “felt they were subsidising the provision of water to a vineyard which is the largest water user in the scheme”. That vineyard is Matahiwi, for sale but currently owned by Wairarapa MP Alastair Scott, which takes water for irrigation. 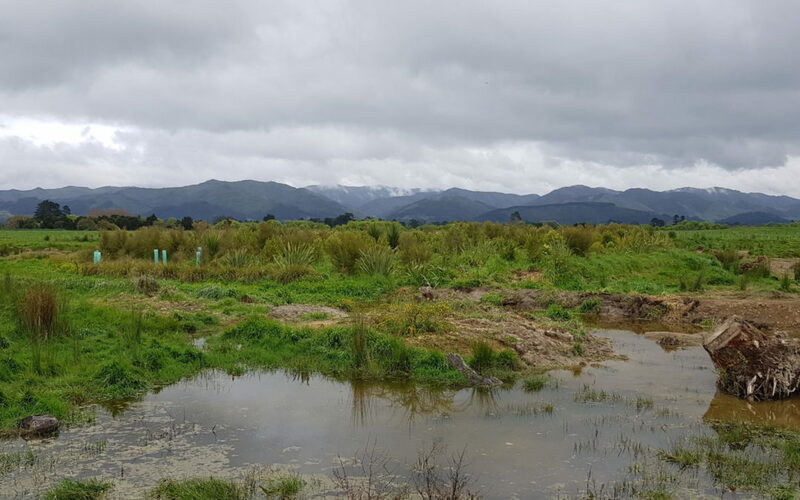 Scott believes the Ruamahanga Whaitua Committee’s plan to increase minimum flow in the Ruamahanga, which would lead to an increase in days when no water could be taken, was sufficient to protect the river. He objected to the race being singled out for attention. “The council need to back the users of the race and the local economy,” he said. Ian McGovern of Loopline Vineyard, which takes water from the race for use in frost protection, was blunt in his assessment. “If we lose the water we are stuffed,” he said. McGovern said he struggled with the fact that the regional council controlled water in Wairarapa. “Fish and Game are trying to get it closed – I can’t believe the power they have. “It seems like the regional council are standing behind them and getting them to do the dirty work. MDC assets and operations manager David Hopman said it was important landowners attended next Thursday’s meeting to pass on their views. “We are now seeking input from the affected landowners regarding the next steps in the consent process. For example, would landowners accept an agreement for the water take to cease in five years’ time? Rachel Dillimore from Waipipi Vineyard, which has no consent at present, said the water race was the reason the land was productive. “They got out with picks and shovels and built the water race, which made Masterton flourish. GWRC said the original consent had been publicly notified “because the effects of the consent [on the environment] were considered more than minor”. The current application also appeared likely to be publicly notified. The landowners’ meeting will be held at 5.30pm on 25 October, at the Wairarapa Community Centre, 41 Perry St, Masterton. What I don’t understand is why vineyard owners need additional water – check out the French vineyards where they are prohibited from using non-rainfall for irrigation. The principle for centuries is to force the vines to send their roots way done to the water table, growing better flavoured grapes, etc. I’ve been to Chateauneif-du-pape and never seen such rocky ground, with nary a grass blade growing or weeds. But here, nothign but black irrigation pipes.